Includes: Shirt, vest, skirt, hat, belt with purse. Not included: Hair ties, wig, socks, shoes. 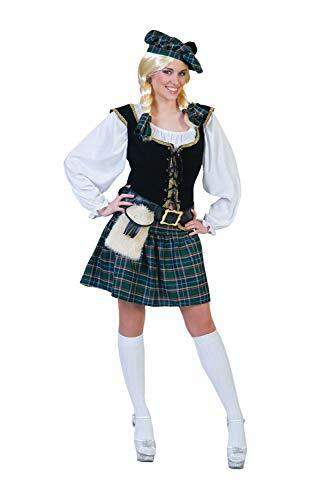 This deluxe Scottish Brigadoon dress costume includes shirt, vest, skirt with overskirt and bag. The lace-up sueded bodice adds to the Old World charm of the Scottish lass from Brigadoon. 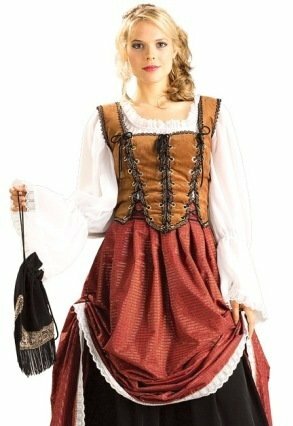 A beautiful women's costume that's perfect for Renaissance fairs or theatrical productions. This high quality deluxe Brigadoon is part of our Grand Heritage Collection of fine adult costumes. This Deluxe Scottish Brigadoon comes in adult sizes Medium, Large, Small. 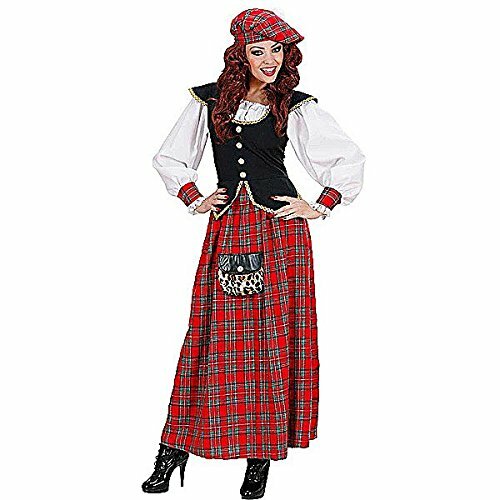 This deluxe Scottish Brigadoon dress costume includes shirt, vest, skirt with overskirt and bag. The lace-up sueded bodice adds to the Old World charm of the Scottish lass from Brigadoon. 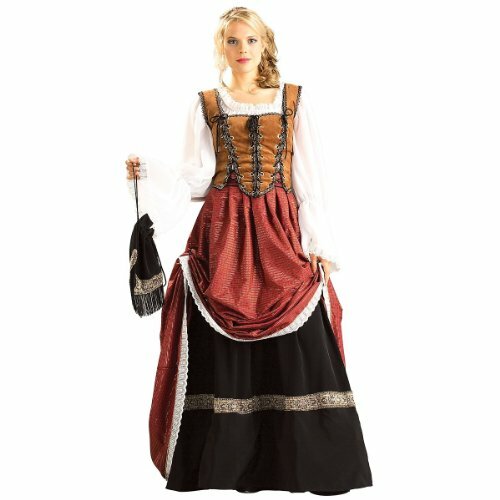 A beautiful women's costume that's perfect for Renaissance fairs or theatrical productions. This high quality deluxe Brigadoon is part of our Grand Heritage Collection of fine adult costumes. The Deluxe Scottish Brigadoon comes in adult sizes Medium, Large, Small. 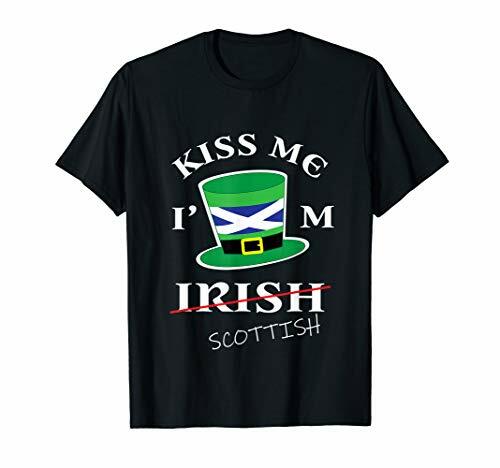 Saint Patrick's Day Kiss Me I'm Scottish with funny graphic Scottish flag leprechaun hat tee will make your friends and family laugh. Perfect for those who have great sense of humour, for party people who love green culture and beer.